Semi-welded plate heat exchangers are suitable for refrigeration, chemical processes and various kinds of industrial utility duties. The unique Alfa Laval RefTight™ sealing system guarantees a long lifetime sealing between the welded channels because the laser weld is on the outside of the ring gasket groove. The smooth surface ensures a tight uniform seal over the entire gasket ring. You can order the Alfa Laval Industrial semi-welded line for various temperature programs, pressure drop limitations, media and operating pressures. 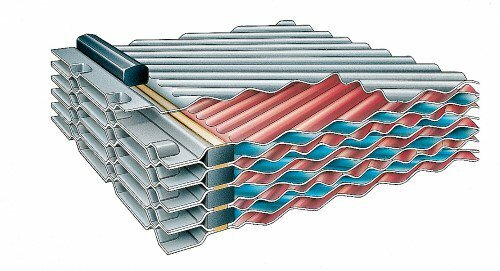 The various sizes in the product line cover a full range of heat transfer capacities and flows. All are carefully designed and selected to achieve optimal performance. 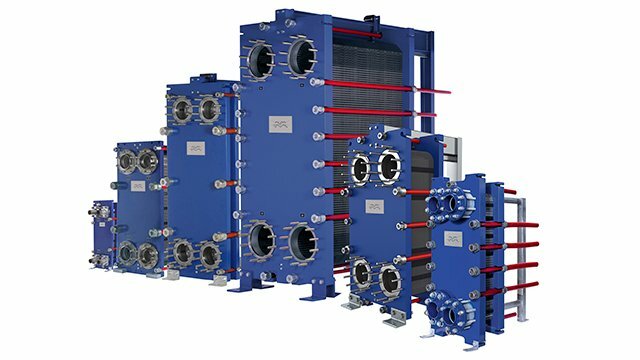 Alfa Laval industrial semi-welded gasketed plate heat exchangers are suitable for liquids and gases incompatible with normal gaskets or at higher pressures. Commonly used in refrigeration applications for evaporation and condensation of ammonia and CO2. The unique Alfa Laval RefTight™ sealing system guarantees a long life-time sealing between the welded channels because the laser weld is on the outside of the ring gasket groove. The smooth surface ensures a tight uniform seal over the entire gasket ring. 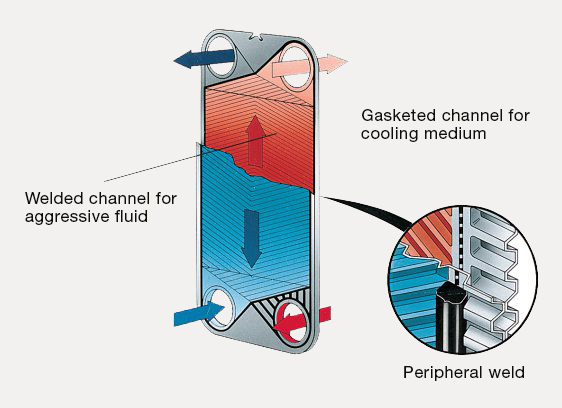 What make our plate heat exchangers so reliable, efficient and serviceable? Equipped with well-designed features that make a difference, Alfa Laval Industrial semi-welded line of heat exchangers are easy to maintain and have a long service life. Improves media flow and minimizes risk of fouling. Enhances media flow and thermal efficiency. Ensures perfect seal and trouble-free maintenance. Ensures reliable plate positioning and easy service of large units. Provides a lower unit that is easy to service.